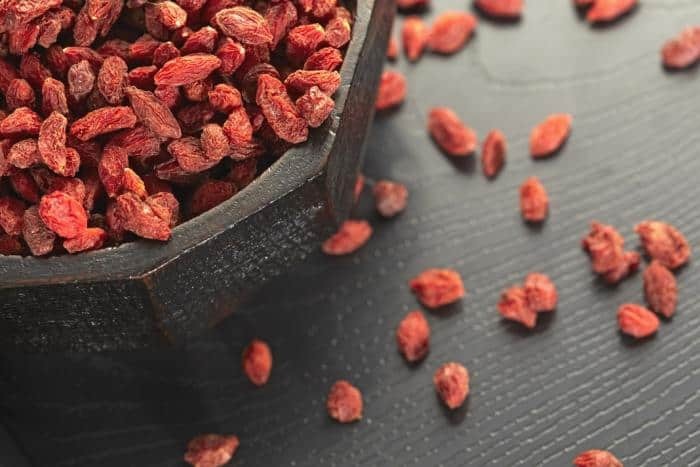 Goji berries also called wolfberries or Lycium barbarum grow abundantly in northwest China, along the Yellow River and sheltered valleys of the Himalayan regions of Nepal, Tibet and Mongolia are considered one of the most nutrient-rich foods. They are slowly getting popular in the west and are being consumed by more people. These fruits are usually sold as dried fruits that resemble a bright red raisin. They are picked carefully and shade-dried in low temperatures to retain their nutrition and shelf-life. Goji berries contain 18 amino acids, 21 trace minerals, high levels of vitamin C, beta-carotene, vitamins B1, B2 and B6, polysaccharides, 21 trace minerals such as iron, zinc, copper, phosphorous, selenium, manganese and magnesium. The levels of some of these nutrients are much higher than other foods which have always been perceived to be high in nutritional content. For example, goji berries contain more levels of iron than spinach and beta-carotene than carrots. With these high levels of nutrients, goji berries have been used for thousands of years in traditional Chinese medicine.
. There has been no extensive scientific research to support these claims but considering the high levels of nutrients found in them, they can provide overall health benefits. A few examples to support these claims – zeaxanthin an antioxidant is found in goji berries. This nutrient is known to protect the eyes and therefore helps with improved eyesight and preventing age-related eye disorders like macular degeneration. Antioxidant-rich goji berries also help with reducing blood sugar and cholesterol levels and prevent growth of tumors. Goji berries are available online, at health food stores and Chinese herbal medicine stores. You can find dried goji berries, goji juice or teas made with goji. Once you buy these berries, they can be used to make juice, tea, simply added to cereals or used to make trail mixes, muffins, salads and soups etc. The best way to get all the nutrients in goji berries is to consume them fresh. However, you cannot find too many stores selling fresh berries outside their growing areas. Hence, you can try the next best way – dried goji berries, tea or juices. While these will provide us with most of the phytochemicals, minerals and vitamins, they will not gives us enough of protein and dietary fiber. While goji berry juice it is not a one-stop solution for weight-loss, since it is low in calories, provides us with energy and the fiber content keeps us feeling full for longer, goji juice can be a good addition to our diet. Goji juice has been given a 4-star rating as a weight-loss product. It is called an adaptogen – which means that consuming goji berry juice increase energy and stamina and allows us to exercise for long periods for we have more endurance. It increases lean muscle growth that helps to burn fat and uses it as a fuel instead of storing it in the body. One reason why people gain weight is when they are stressed or depressed and eat more. Goji berry juice produces feelings of happiness and calmness, reduces stress levels and prevents weight gain. These berries can also promote thyroid health and this prevents weight gain. The nutrients such as vitamin B1 and calcium found in goji berry juice promote quicker burning of carbohydrates and helps with weight loss. Goji berry juice has a low glycemic index. This reduces cravings for starchy foods that make us put on weight. Goji berry juice can be drunk plain or added to other fresh fruit juice mixes or other recipes. A smoothie is a delicious, filling substitute for a meal when dieting. Add a small quantity of goji juice in place of milk to your favorite smoothie recipe. This will add flavor and not increase calories. Goji berries combine well with all other berries, bananas and mangoes among other fruits. Substitute orange juice with goji berry juice in salad dressings or marinades. It provides a refreshing new flavor for it has a tangy, sweet and sour taste. 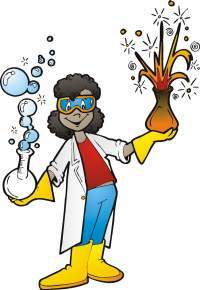 Here are a couple of interesting ways to make goji berry juice. Soak the goji berries in water for at least 1 hour. Blend all the ingredients. If using water in place of almond milk, use the water in which the berries were soaked. Combine all these in a blender. You will get 1 large serving of this tangy, fresh juice which is an antioxidant powerhouse. Goji berry juice is quite expensive and cannot be afforded by everyone. Instead of buying juice, you can always make your own using dried berries which could be cheaper. Goji berry juice is a good addition to a weight-loss program. Check the labels of the juice you buy and make sure it is pure juice and does not contain preservatives, flavors etc., which will reduce the content of goji juice. Always take the required quantity and do not exceed daily recommended levels. Drinking more does not mean that you will lose weight quickly. You diet regime should always include appropriate levels of exercise each day. Goji berry juice interacts adversely with blood thinner medications like warfarin. Hence, avoid them if using these drugs or other blood pressure and diabetic medications. Those with pollen allergies must avoid goji berries. Taken in moderation these fruits are safe. Even so, consult your doctor especially if you are on certain medications or are pregnant or breastfeeding. Previous articleWhat is Goji Berry?